For the last few years I always say I would bake a Christmas cake but for one reason or another I left it too late or never got round to making it. This year with Mabel being a bit older I really want to start some Christmas traditions with her, and not forgetting my husband loves Christmas cake! So this year I have made sure I made enough time for it! I used a Mary Berry recipe from my old faithful book of hers, but after I found another recipe online that she claims is the one she uses every year and I wish I had used that! I can’t quite believe how much fruit is in it, I do have plenty left over and am debating making a Christmas pudding on Stir up Sunday (21st November), but my husband is the only one who would eat it so maybe not? As you can imagine the smell of the cake baking in the oven smelt amazing! I’m not normally a fan of Christmas cake but I think I may have to indulge this year! The cake had an obligatory feed of brandy before being wrapped up and stored away. I will feed it every couple of weeks until it is ready to be decorated, the exciting bit! I’m off now to Pinterest to get some inspiration for my decoration! Are you making a Christmas cake this year? 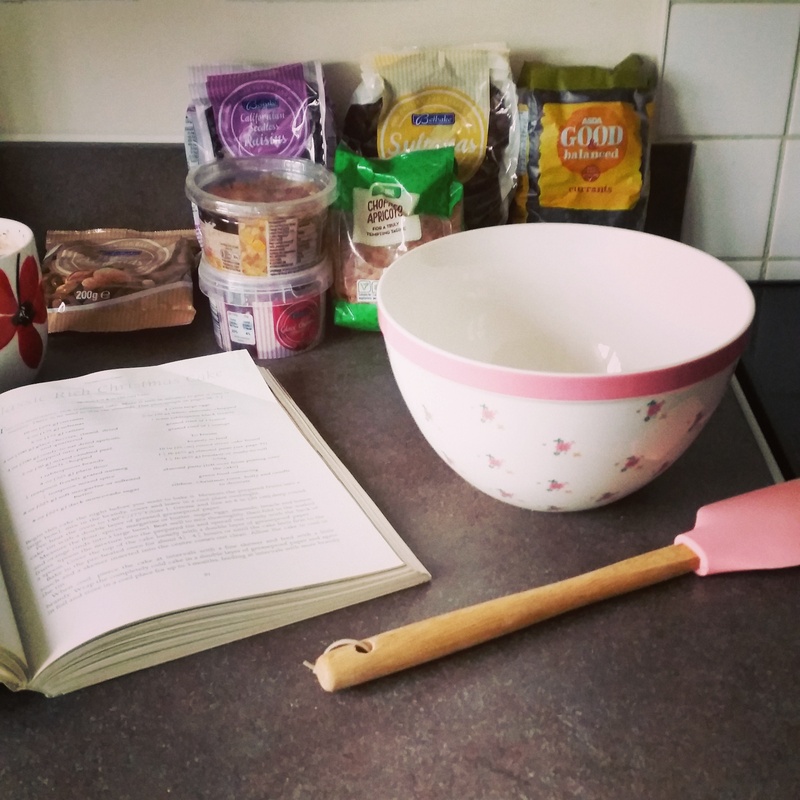 What is your favourite recipe?